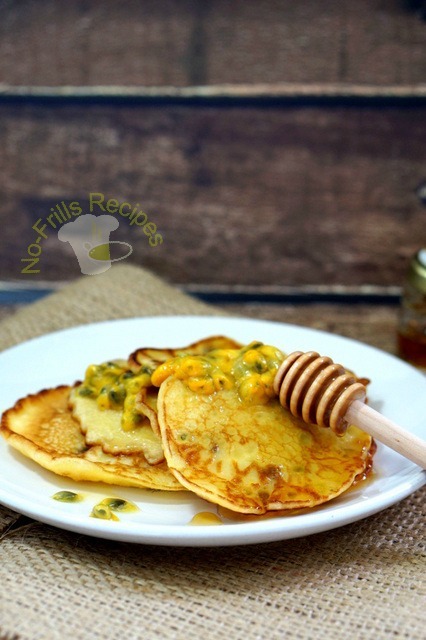 These pancakes are soft, light and fluffy using buttermilk rather than milk. 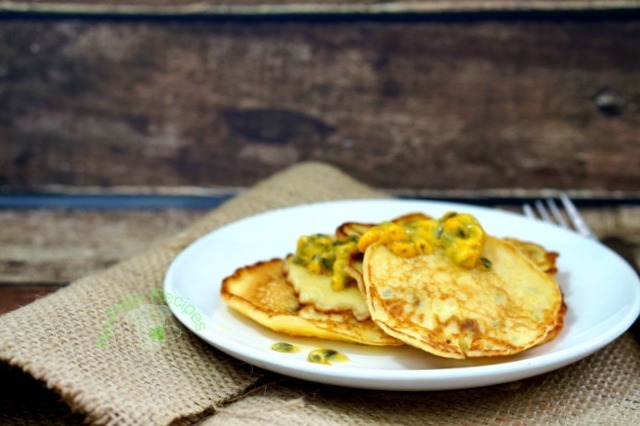 They taste lovely with a drizzle of maple syrup while the addition of fresh passion fruit gives it a nice tropical flavour. Sift in flour into a mixing bowl, add in sugar, mix well. 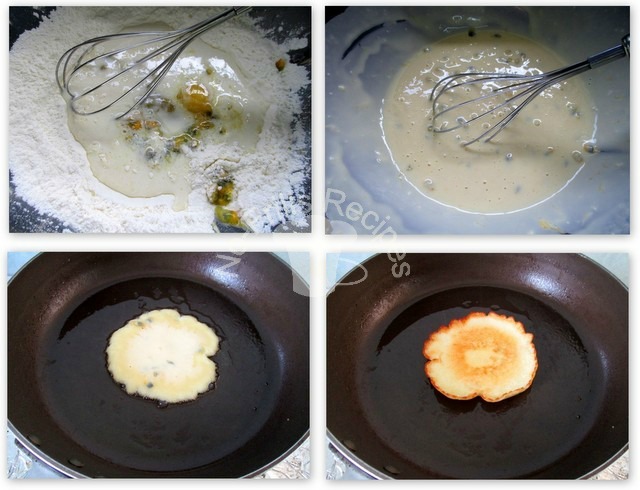 Make a well in the centre, whisk in buttermilk, passion fruit and egg. Whisk till smooth. Lightly grease a non-stick pan, add in 1.1/2 Tbsp of batter for each pancake, allow it to spread. Cook for 2 mins. till bubbles appear and begin to pop, flip over to cook for 1 min. till golden brown. Repeat with remaining batter. 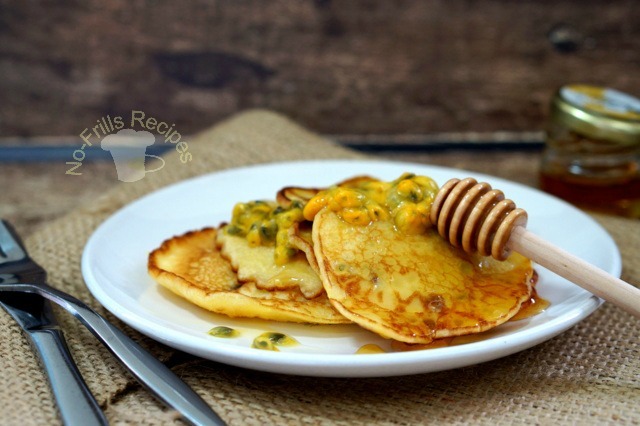 Serve immediately with maple syrup or honey with some fresh passion fruit pulp. Note : To make buttermilk, I added 1/2 Tbsp lemon juice to the 155 ml milk, or you can use vinegar. Mix and let stand for 10 mins. I always love the pleasant aroma of passionfruit. These pancakes must be really delicious with this exotic fruit.